Aluminium handle with moulded plastic top and plastic bottom thread. Suitable for use in hygiene sensitive areas. 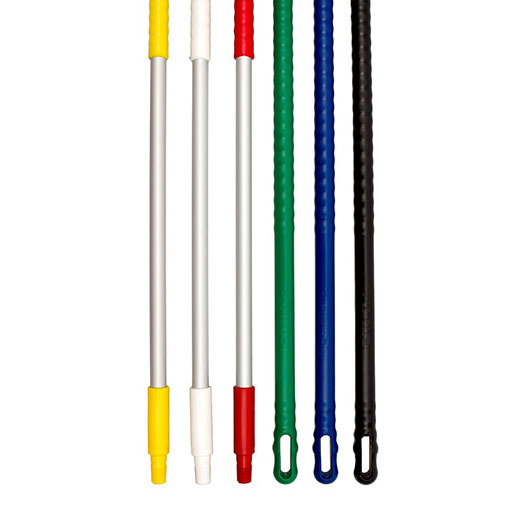 Handles are colour coded and can be used in colour coded areas.